This wood bar height stool will make a beautiful statement in the home when wanting to achieve an elegant arrangement. 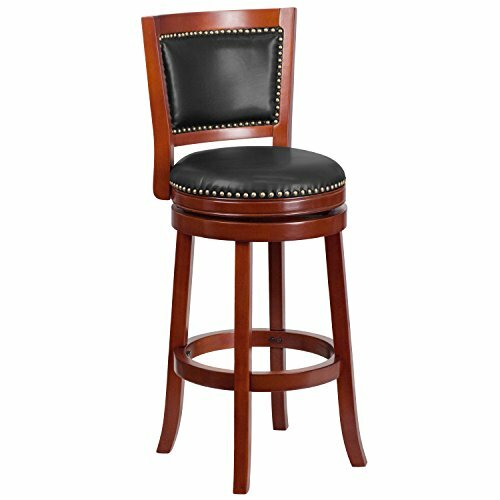 This upholstered stool will appeal in your kitchen, dining room, bar or game room. The 360 degree swivel seat allows you to swing around effortlessly. The durable wood frame is stabilized with the included foot ring. The floor glides help protect your floors and ensure smooth gliding. This stool is adorned with decorative nail trimming on the seat and bowed out legs. This stool will offer comfort along with its attractive design.